ACER Racing Traxxas X-Maxx Ceramic Bearing Kit « Big Squid RC – RC Car and Truck News, Reviews, Videos, and More! A whole lot of you guys are in the process of ubering-out your new Traxxas X-Maxx right now. For it to truly be the best it can be, that means replacing things like the low-end stock bearings. Which bearings should you upgrade to you might ask? 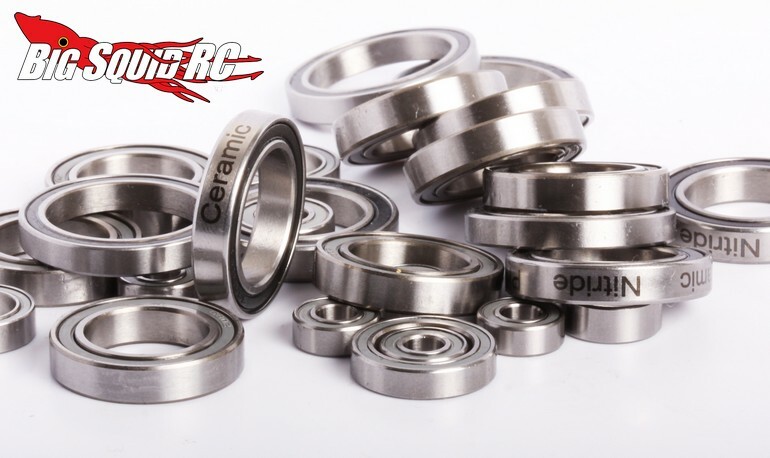 Well, ACER Racing has long been known for putting out some of the best bearings on the market and they have just announced their X-Maxx Ceramic Bearing Kit. The kit comes with all 28 bearings that you will need to replace the stock units and the high-end ceramic bearings will give your X-Maxx less friction, resulting in more speed. The ACER X-Maxx bearing set is priced at $109, it has a part number of #CTR048, and they are shipping right now. Want more details? Find them at This Link on ACER’s website. Hit This Link to read more ACER news on BigSquidRC.